The most selected choice to buy a set will going to expire tomorrow 16th May. 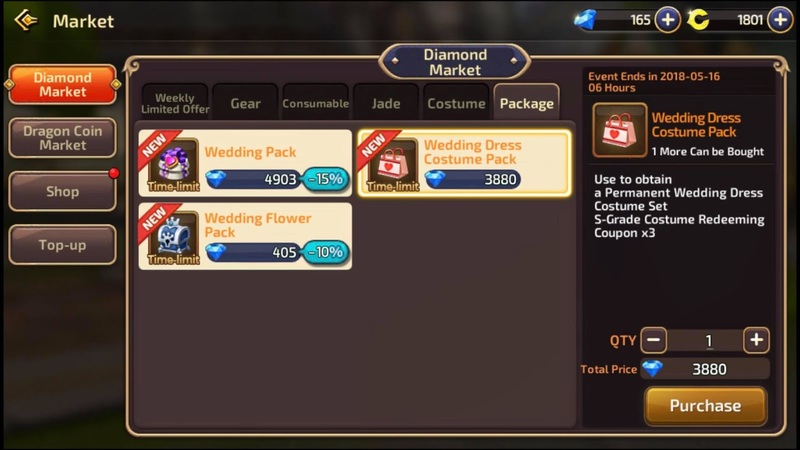 One of our contributors of Dragon Nest M PH already bought his Wedding Set at current price 3880 diamonds. Wedding Dress Costume Pack - 3880 diamonds contains a Permanent Wedding Dress Costume Set and S-Grade Costume Redeeming Coupon x3. 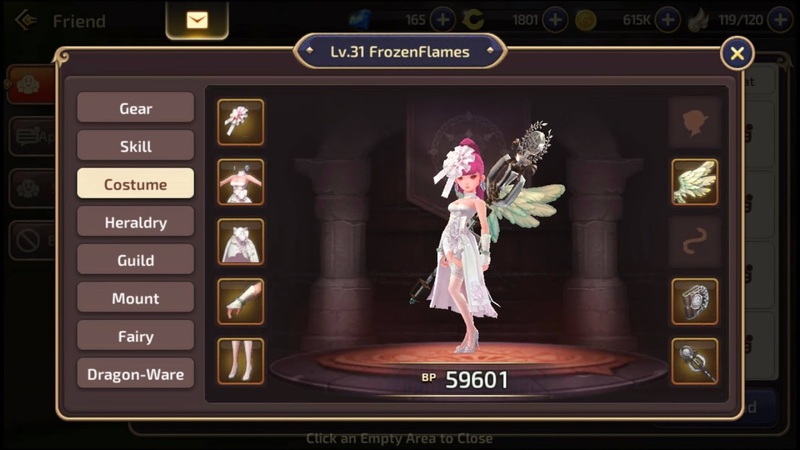 Meet FrozenFlames a Sorceress class. At level 31 somehow increased his BP up to 59601. Are we able to obtain this in the future ? Or will this never appear again ? Also, is it possible to obtain this by combining costumes ?